They were born in the USSR, made friends at Juilliard, then went on to win James Beard awards. Now, Vitaly Paley and Anya Von Bremzen, author of the buzzed about Mastering the Art of Soviet Cooking, are collaborating on a Russian feast. Two Russian comrades, born in 1963, together again, doing the last thing they imagined growing up in Kafkaesque times: cooking a sumptuous Russian feast. He was born in Belarus, she in Moscow. Both were gifted pianists who hung out at Juilliard after their families fled to America. Both bailed on the concert pianist life. Their lives went in separate but similar directions. 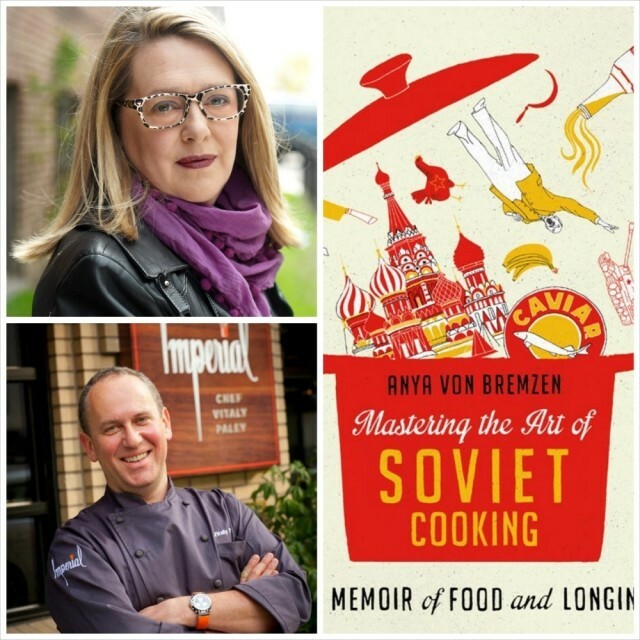 Anya Von Bremzen is an accomplished food and travel writer and three-time James Beard cookbook winner whose library includes the impressive New Spanish Table and the just-out Mastering the Art of Soviet Cooking: A Memoir of Food and Longing and surely one of the standout books of 2013. 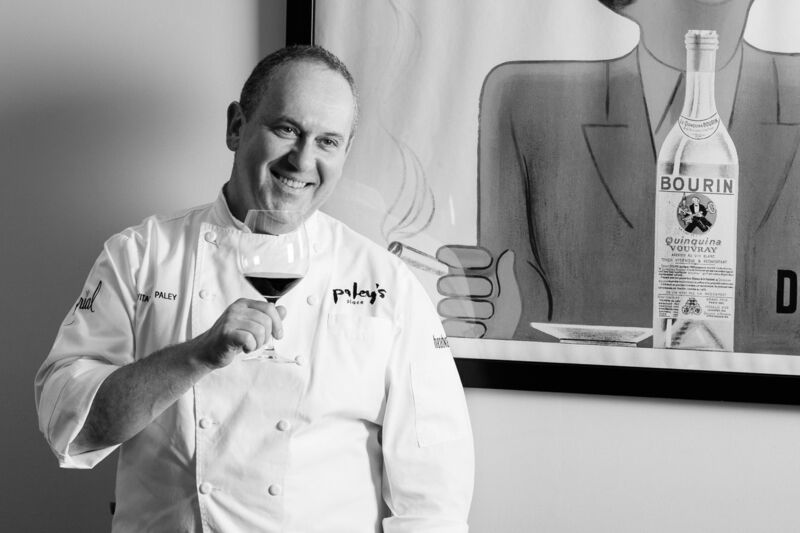 Vitaly Paley found his way from New York to Portland and became an icon of local eating and James Beard Best Northwest chef. 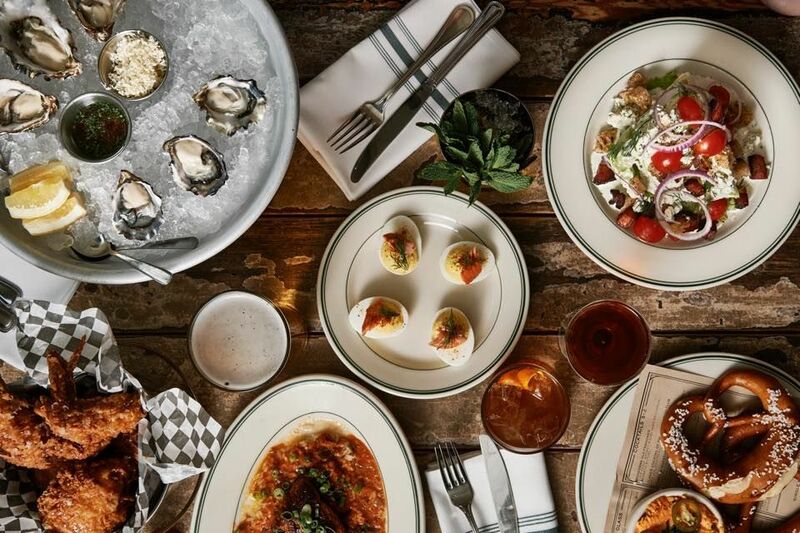 On December 8, they will collaborate on a four-course dinner at Paley's downtown Imperial. This promises to be one of the seminal food events of the year. We've long been waiting for Paley to unleash his Russian roots—perhaps this a taste of things to come. In the book, Von Bremzen and her mother cook through decades of Russian cooking, juggling czarist feasts with prosaic meals of boiled vegetables bound in mayonnaise. But at heart, this is a magisterial peek behind the Iron Curtain, its manicured myths, its terrifying realities, and eventual vanishing into something different and oddly glamorous. "As Anya points out in her book, there was no unemployment, yet no one worked," says Paley. "There was no food and yet everyone had feasts in their homes. Everyone lived in the cracks. If you could have told me one day, I'd own two restaurants, employ 70 people, and cook food all day, I would say 'No Way.'" Mostly, Mastering the Art of Soviet Cooking reminds us how much can be done with little if you only you add love to the ingredient. Von Bremzen has penned a scholarly book without scholarly pretensions, told from the heart with humor and wisdom. Don't miss it. • Pheasant and Oregon truffle consommé, wild mushroom piroshki: "Russia has rich food history steeped in peasant as well as very aristocratic traditions of Imperial Russia. This dish is meant to bring back some of the Czarist splendor and opulence. We did this dish at Paley's for the millennium celebration. 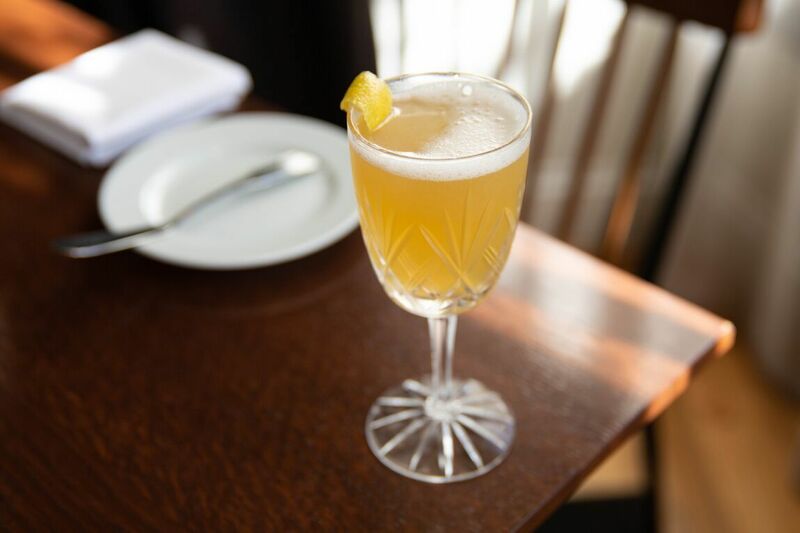 Having Anya at Imperial is definitely a celebration." • Khmeli Suneli (spiced and spit-roasted leg of lamb and Georgian lamb stew), Rice palov, and Huckleberry walnut condiment or Local Salmon Kulebyaka and Butter Sauce: "Russia at the time of Soviet Union was comprised of 15 republics spanning 11 time zones with many ethnic traditions. This lamb is comprised of several adaptations from Anya's book as well as flavors I remember eating as a kid. The salmon is very classic and very old Russian dish. Even Alice Waters has a recipe of it in her menu cookbook. Traditionally it is pastry-encased salmon with rice, hard cooked egg, mushrooms, and buckwheat pancakes. The sauce will be straight up beurre blanc. There are lots of reference to French influence through the centuries in Russian food." • Farmer cheese syrniki with local honey: "These are little pancakes. A classic breakfast or a dessert dish made simply of farmer cheese, eggs, flour and sugar. I like to drizzle it with honey after pan frying them in butter." • My Grandma’s Apple and Huckleberry Charlotte: "A combination of Anya's and my grandma's recipe. It is simply a batter (or soaked bread) layered with apples and raisins or, as in our case, some local huckleberries. We'll top it with whipped cream and sauce the plate with huckleberry cassis sauce." Seatings begin at 5 pm. Cocktails and Georgian wine pairings optional. Pick up a signed copy of Mastering the Art of Soviet Cooking for $26. 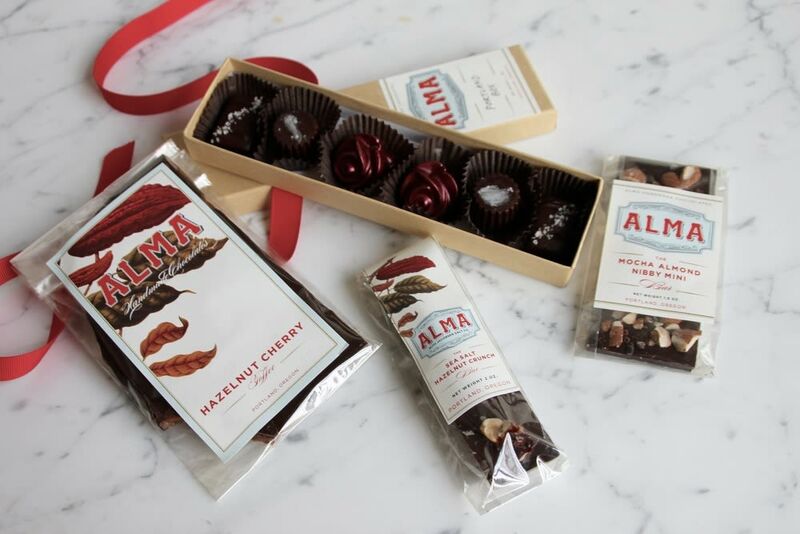 Anya Von Bremzen will also be signing books at Vitaly Paley's annual holiday Cookbook Social, December 8 (1 pm-3 pm) inside the Hotel Lucia, featuring a meet-and-greet and signing with more than a dozen top Oregon chefs and cookbook writers.